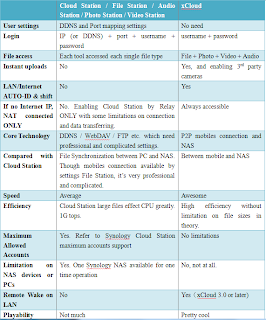 Since many users still have many questions about the differences between xCloud and CloudStation etc. 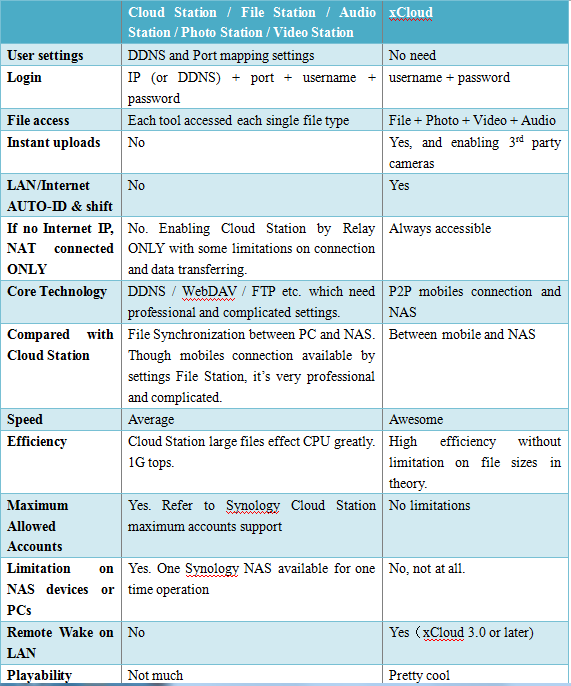 on Synology. xCloud today post a comparison table here. Hope it's helpful for Synology users to have a better and deeper understanding about xCloud for Synology.